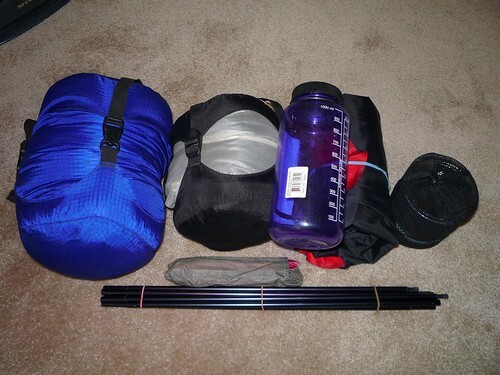 One of my buds has the REI Half dome and although a nice tent with2 doors/vestibules, the vestibules are not near as large and the interior height/floor space isn't as great, as well. Here it is set up at Moores Point, along the Lake Chelan Lakeshore Trail, which Cousin Jack and pals, just hiked. and here it is in 'travel mode', packed up in the gray/black compression sac. That's a 1 litre drink bottle for size comparison! 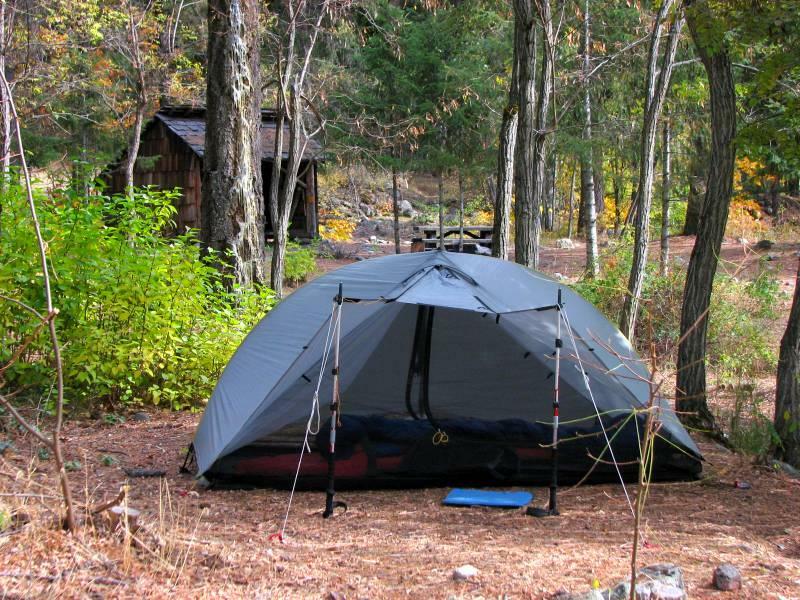 The Wanderer 2 is a much more comfortable tent for motorcycle touring and packs down fairly small as well, with the aid of a compression stuff sac. 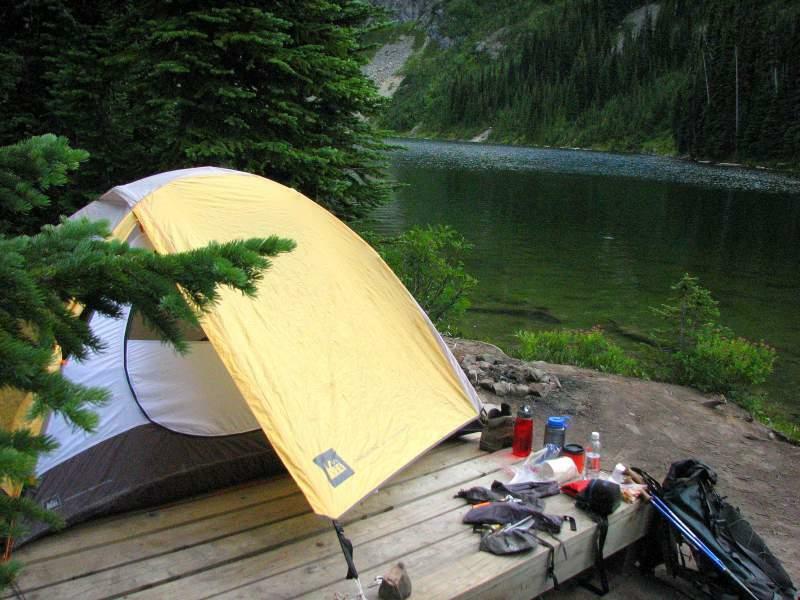 I picked up a little 129.00 Wal Mart tent back in 2002, and I have never got wet in it when it rained. My main tent is a plastic one about two inches by three inches and has a magnetic strip built in. The label says Best Western. I do carry the smallest back packer and sleeping bag I could find just in case. However I have been thinking of a tent with a few more options. I just can't find one with a hot shower. I don't like to ride with external luggage but gave in a little by keeping my dirty laundry in a knapsack strapped to the back seat. It needed the air. Seriously though I wouldn't mind seeing three photos of your bike Dusty. One with the gear spread out on the ground, one with it stowed but lids open and the third ready to roll. True friends do not urge you on from the sidelines. They march with you. They are warriors, not cheerleaders. Patience, Grasshopper..... and you shall be rewarded. My Bud and I are going on a nice little 15 day trip. Leaving June 17 and arriving back on July 1st to catch the Canada DayFireworks display out over Okanagan Lake, here in Penticton. I'll take some shots for you on different ways I canpack the bike and do another little 'slideshow presentation'. 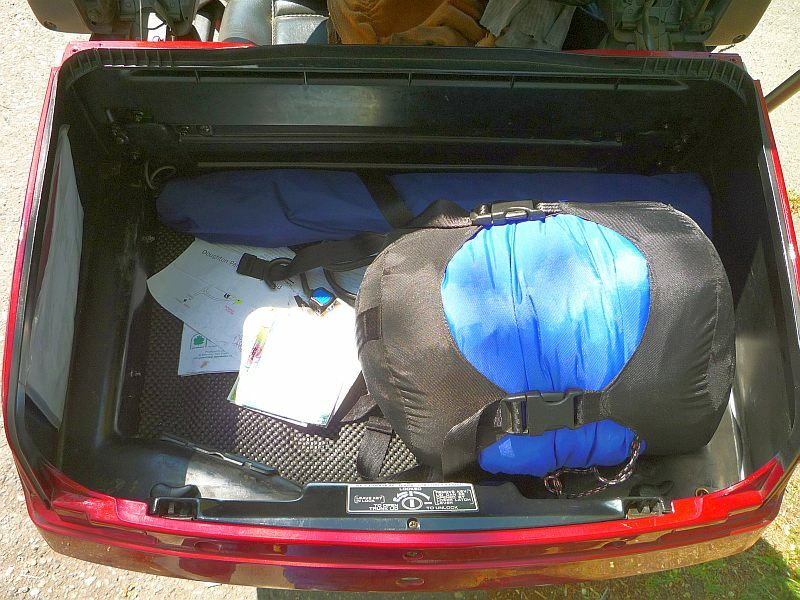 Current thought is that I'll most likely be employing 2 trunk rack bags, one on the Pylon Seat, which will hold all my camping equipment and the other will hold my heated clothing, rain suit, bike cover and assortment of gloves, so they will be easy to get to. I might compact everything into the bike's bags, but I would like room for lots of souvenirs. We'll see. for a total of over 2800 miles. We are looking forward to it, as we'll be covering a lot of Destination Highways and primo scenery. Hey Dusty,,,,,,, that looks like a great run you have planned out. Glad your taking advantage of being retired. Sure wish I didn't pass up the Tetons I should have just told the boss I had a flat tire Oh well, maybe I'll scheem up something while at Montrose. I really like your trunk bag too, but there are other items I'll be needing and I figure I did fine on the last trip with what I have. I'm always looking forward to seeing "what Dusty has been up to". You have yourself a super duper trip Ken. I bought the 2nd trunk rack bag primarily for the Montrose trip, to store my heated liners etc, as I figure by Sept it'll be getting a little cool for just a mesh jacket, especially in the mornings at altitude. Last Sept/Oct, I got pretty tired of riding 10-12 hours in temps that were in the 30's and feeling 'bulky' with all the layers on. This way I plan to eliminate a lot of 'layers' and keep warm. This trip will be a good 'shake down' run to get things 'dialed in' and the bag is cheap enough that if I don't need it, no big deal, I'll have a spare. My air mattress is farthicker than my wallet ! Different people have different travel 'modes'. At this stage of my life, I'm stillmore comfortable camping, than staying in a stuffy overpriced motel/hotel night after night, while on the road. Having said that, I do use motels when I have to make 'time' on a trip, but when the pace is more relaxed, I'll choose to camp.